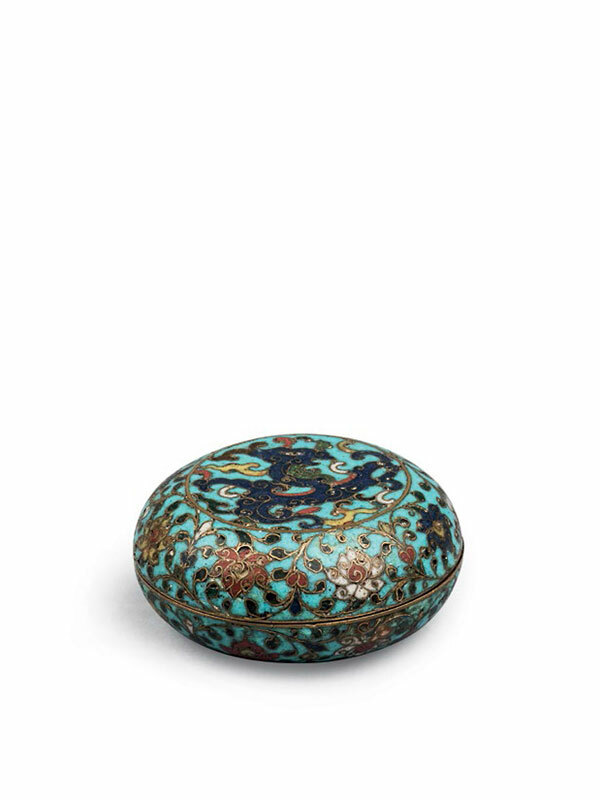 A circular cloisonné box with a slightly domed cover and a flat base. 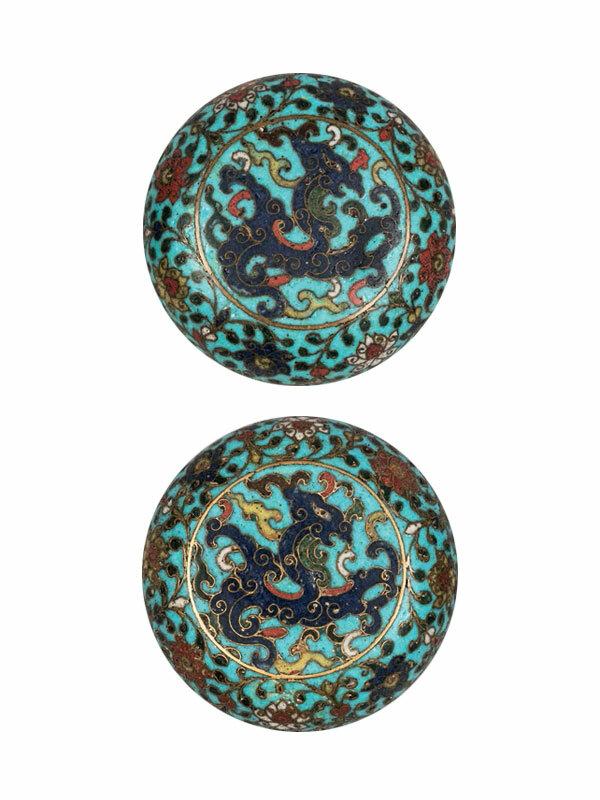 The cover and the base have an identical decoration in coloured enamels on a turquoise ground with a kui-dragon to the centre, whilst the sides are adorned with a dense, formalised design of lotus flowers, interlinked by scrolling stems. The interior and the rims are covered in a thick layer of gilding.